Apparently I am a gadget guy. I don't know how I come across some of this stuff but I do. 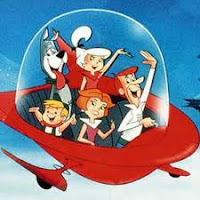 In a past post I raved about a few must haves - Sonos, Harmony Remote, Garmin Sports GPS, anything Apple, and Ford Sync. I have to say that a year later my opinion hasn't changed. I have used every one of them and have no buyers remorse at all. Here's a new list of three gadgets that I use. This may sound like some sort of advertisement but it really isn't. These are just solid solutions that work for me. Your mileage may vary. Check this one out.... If you are into outdoor activities and need to cool down, check out the Frogg Toggs Chilly Pad. This simple to use, low maintenance, and inexpensive solution works great to cool you down during and after a workout, golfing, working in the yard, where ever. An it is less than $20! According to froggtoggs.com the Chill Pad is"made from a hyper-evaporative material that retains water while remaining dry to the touch, The Chilly Pad® is an innovative way to cool down while enduring outdoor heat and/or high levels of physical activity. When wet, the towel begins to evaporate and cool, providing cool, soft comfort to the user. When it stops cooling, simply re-wet the towel in hot or cold water and wring it out. Within minutes, it’s cool again"
Here is another wireless speaker. It is not the quality of the Sonos but for under $60 it works great in an office, a bedroom, or on a road trip. The iHome IDM8 is a wireless speaker that connects to your music source (iPhone, Android, etc) via bluetooth. If you don't have bluetooth you can also connect using a standard 3.5mm audio plug. The speaker has a built in rechargeable battery that uses USB for charging. It is about the size of a baseball and is easy to use right out of the box. It comes in red or black. Maybe it is that I am a product of the George Jetson era or maybe it is that I just like cool stuff that works well. 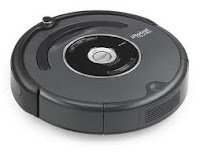 Either way, the Roomba robotic vacuum is awesome. 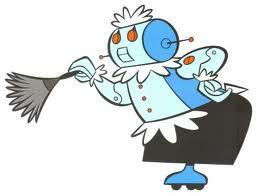 Can it make dinner and clean up the kids like Rosie the robot did? Well, no. But it sure can vacuum the floors. This rechargeable little beast comes in several models. I recommend the unit that has built in scheduling. It allows you to set a daily schedule and the Roomba will automatically start, vacuum, and park itself for recharging. It deals with all types of flooring (carpet, wood, tile) and won't fall down the stairs. You just need to remember to empty the dust bin regularly. It gets rid of pet hair, dust bunnies, and all of the other junk that accumulates on your floors. For what it is worth the customer service is excellent Don't wait, go get one.